FastATE, In-Line test solution, shown & demonstrated at Electronica 2018 by 6TL Engineering in booth A3 251. 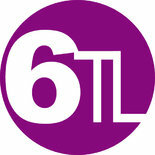 6TL will exhibit and demonstrate their 6TL33. This highly successful FastATE test handler has helped already many customers all over the globe to improve on their yields due to its modular, flexible, reliable and reusable design. The 6TL-33 with its innovative and state of the art design enables any company who need automatic in-line testing, to implement any testing needs in its production area. If you need RF testing, ICT (In-circuit test), FCT (Functional Test), BST (Boundary Scan Test), HiPot test, ISP (In system Programming) the 6TL33 is the best test handler for your needs. We will be happy to tell you more, in our booth A3 251.